Published on January 13, 2015 by Martyn. Be the first to comment! I’m delighted to be taking part in a new festival in Leeds for independent writing and publishing. For the Love of Words – Indie Writers’ Fest is a brilliant joint initiative by the literature promotion charity, Leeds Big Bookend, and Leeds Trinity University, where I am a senior lecturer in creative writing. It’s a one-day event on Saturday February 21st, being held on the Leeds Trinity campus, in Horsforth, and will feature a series of workshops, talks and panels, as well as opportunities to meet and mingle with writers, book-designers and publishers, and to browse a pop-up indie bookshop. I’ll be running a couple of workshops on characterization as well as taking part in a panel discussion. I’m a big fan of indie publishing and have a lot to thank it for – both my young adult novels , Flip and Never Ending, are published by Walker Books, the UK’s leading independent publisher of children’s and teenage literature, and several of my short stories for adults have appeared in anthologies by the award-winning Manchester-based indie, Comma Press. 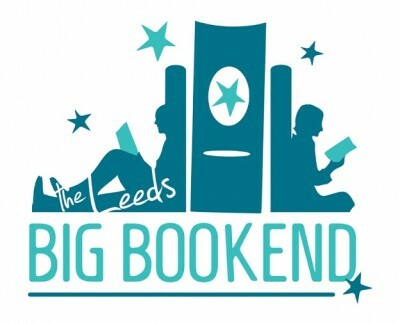 For full details of the festival programme and to make a booking, click on this link to the Big Bookend blog.